You remove the “-“ cable from the battery then take that cable and place it on the “+” cable and hold it in place for 30 seconds then place the “-“ cable back on the battery. 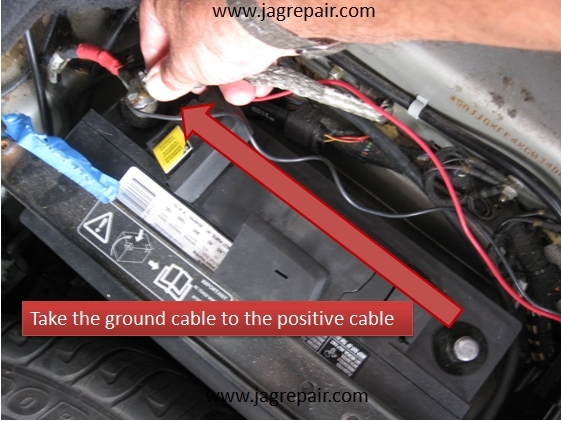 You can remove the “-“ cable from your battery then turn the key on in the run position turn the lights and the horn for 30 seconds then turn the lights and the ignition key off and reinstall the “-“ cable. When you do this your car is reset to ground “0” meaning you will lose the window memory so you will need to reset both windows, you will also lose all your radio presets and the possibility that your radio may need the security code. 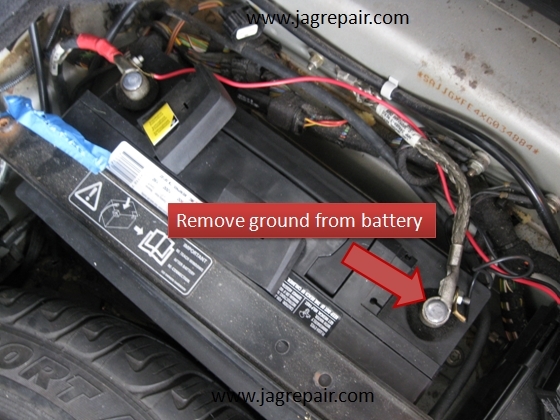 If you need the code to make the radio work just call Jaguar and they will give it to you.